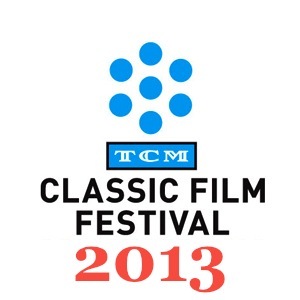 ...There were some exciting announcements this week regarding the TCM Classic Film Festival, which will take place in Hollywood the last weekend of April. TCM has announced Disney's El Capitan Theatre, which seats just under 1000 people, as a new venue for this year's festival. Hopefully there will be several screenings at the El Capitan, as it's ideally situated and its size will help with capacity issues. Some of the newly announced events I'd most like to see: Ann Blyth will attend screenings of MILDRED PIERCE (1945) and KISMET (1955), and Jacqueline White will be at a showing of THE NARROW MARGIN (1952). ...Greg Ferrara of TCM's Movie Morlocks has an interesting article for Academy Awards Sunday: "Forgotten Oscar: 1928-1934 Edition." 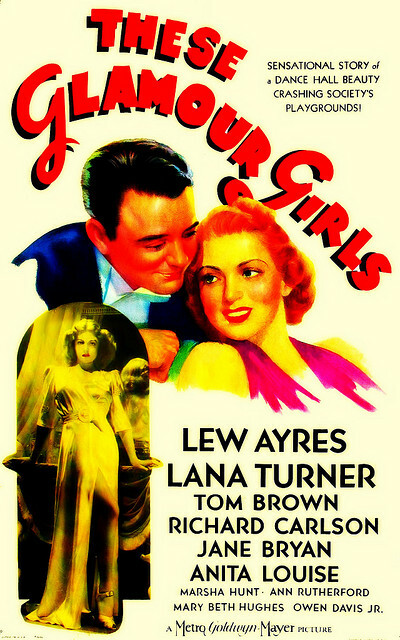 ...Raquel reviewed THESE GLAMOUR GIRLS (1939) on "Warner Archive Wednesday" at Out of the Past. It's a fun film with a great cast including Lana Turner, Richard Carlson, Ann Rutherford, and Marsha Hunt. ...The Orange County Register has published a rare interview with Lynsi Torres, the owner of In-N-Out Burger who is said to be the nation's youngest woman billionaire. ...Susan King of the L.A. Times recently wrote about the Rohauer Library, an electic private collection of films which will be available on DVD as The Cohen Collection. Titles include FIRE OVER ENGLAND (1937) with Laurence Olivier and Vivien Leigh, Hitchcock's JAMAICA INN (1939), starring Charles Laughton and Maureen O'Hara, and Joan Crawford in SUDDEN FEAR (1952). A number of silent films are included as well. I've never come across JAMAICA INN in a good print so it would be exciting if a nice-looking one is released. 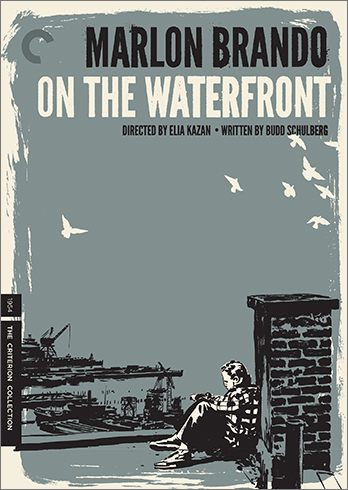 ...The new Criterion edition of ON THE WATERFRONT (1954) presents the film with a choice of three different aspect ratios. Find out why in this video on the Criterion website, which is also included as an extra in the set. As noted in a link roundup here last November, many of the extras on this Criterion release are holdovers from a 2001 Special Edition DVD. ...Over at Sidewalk Crossings, my friend Deb has been working her way chronologically through the James Bond posts for the month. Start with this introductory post and scroll up from there. ...Kristina announced that there's a new issue of the Dark Pages out! Article topics will include Jean Heather, Audrey Totter, Ella Raines, and Lizabeth Scott. More info on subscribing can be found here. And if you missed it, here's information on the last issue, a special NIGHTMARE ALLEY edition which featured my interview with actress Coleen Gray. 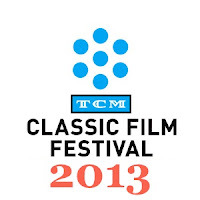 ...The Classic Movie Blog Association recently sponsored an interesting blogathon featuring films of the '40s. I didn't participate myself as I haven't joined the Association, but I enjoyed reading a number of good posts, including reviews of CRISS CROSS (1949) at Shadows and Satin, RESISTING ENEMY INTERROGATION (1944) at Another Old Movie Blog, KEY LARGO (1948) at Lindsay's Movie Musings, THE BLACK SWAN (1942) at The Stalking Moon, KITTY (1945) at Jim Lane's Cinedrome, SO PROUDLY WE HAIL! (1943) at Comet Over Hollywood, and FOREIGN CORRESPONDENT (1940) at Thrilling Days of Yesteryear. Even more links can be found at the CMBA website! Update: Here's another fun one I just read, on ACROSS THE PACIFIC (1942) at Tales of the Easily Distracted. Looking forward to checking that movie out for the first time. ...Vienna sure watches my kind of movies! Here she takes quick looks at Preston Foster and Lynn Bari in CHASING DANGER (1938) and Bari in FREE, BLONDE, AND 21 (1940). Most interesting, the latter film was directed by actor Ricardo Cortez, recently seen by me in THE CALIFORNIAN (1937). I enjoyed Foster and Bari in SECRET AGENT OF JAPAN (1942) and hope to also find their third film together, NEWS IS MADE AT NIGHT (1939). ...I need to catch up with MR. PEABODY AND THE MERMAID (1948), starring William Powell and Ann Blyth. I actually have the videotape, I just haven't seen it yet! It was reviewed by Adam at OCD Viewer. ...Royalty Watch: Princess Estelle of Sweden has just turned one...what a little doll! A series of birthday photos were just released with the toddler wearing the same dress her mother wore in her first birthday photos. ...Thanks to KC at Classic Movies for this link to a 1956 LIFE photo spread on Kim Novak. I love the first photo of her in the dining car. That website also led me to this great collection of LIFE photos of couples saying farewell during WWII. 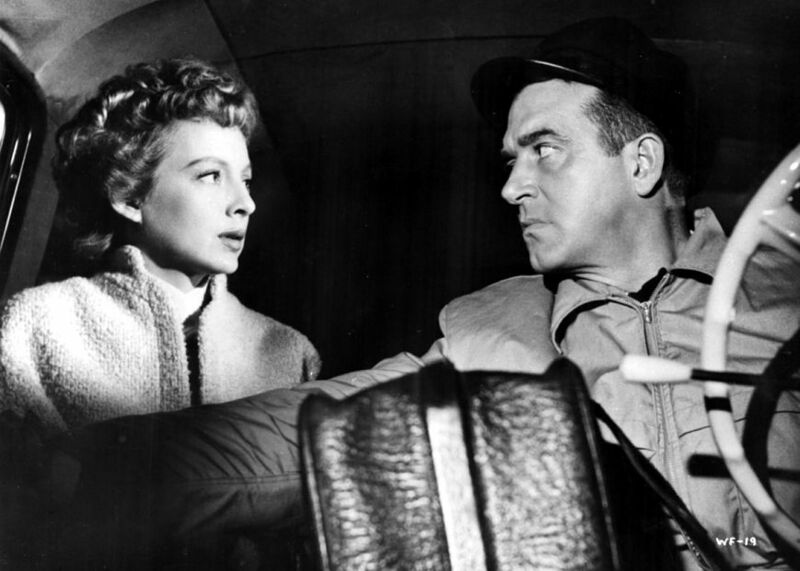 ...Two of the latest reviews at Riding the High Country: THE LAST WAGON (1956) and 99 RIVER STREET (1953). Colin's reviews are always insightful, and the conversations which follow are interesting as well. I liked both films, reviewed here and here. ...I enjoyed the L.A. Weekly article "How To Be an L.A. Cinephile." I would just note, though, that the Bay Theater in Seal Beach, mentioned in the second paragraph, closed last August and to my knowledge has not yet reopened. ...The 15th Annual Noir City Festival in Hollywood had been announced for the first three weekends of April, running from Friday the 5th to Sunday the 21st. It will again take place at the Egyptian Theatre, with the exception of a special 3D evening at the Egyptian's sister theatre, the Aero. Only three titles have been announced to date: HIGH TIDE (1947), REPEAT PERFORMANCE (1947), and TRY AND GET ME! (1950), which will also all be shown at UCLA's Festival of Preservation in March. I'll be sharing information about the UCLA Festival in a separate post in the next couple of days, and as always, I'll have detailed coverage of the Noir City Festival! 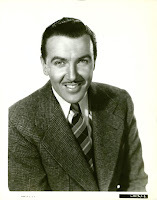 ...Notable Passing: ...Oscar-winning special effects pioneer Petro Vlahos, whose credits included BEN-HUR (1959) and MARY POPPINS (1964), has passed away at the age of 96. Lots of links this week Laura - thanks for sending some traffic my way. So much information. So many blogs to check! Thanks,Laura. Rather than being envious , I'm going to be grateful that so many vintage Hollywood films are seen in all their glory in California - loved reading about all the festivals - TCM, Noir, UCLA. Oh, to see Ann Blyth at MILDRED PIERCE, or Jacqueline White at NARROW MARGIN. I caught up on some of the posts at the Blogathon on 40s films. All so well written. Lastly, another thank you for reference to my Lynn Bari reviews. Thanks for the hat tip. Aren't those LIFE galleries addictive? Once I get going with them, it's hard to stop!